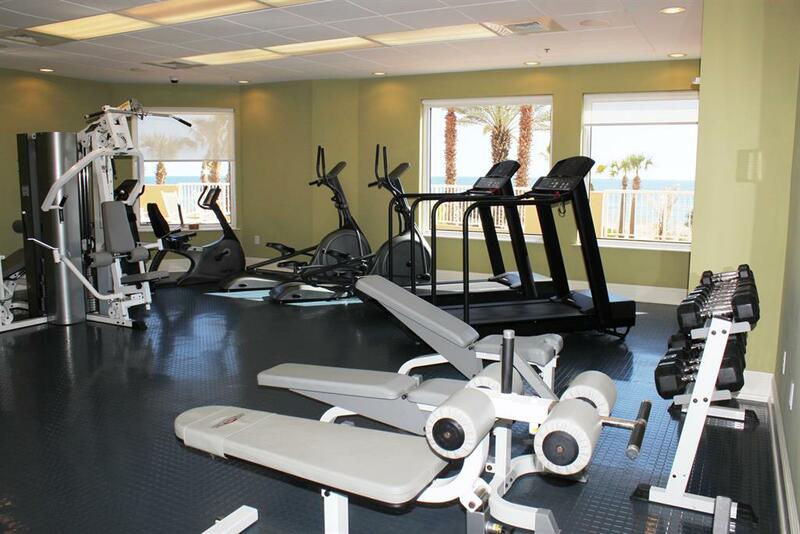 Summer Savings at the Exclusive Vista Del Mar! 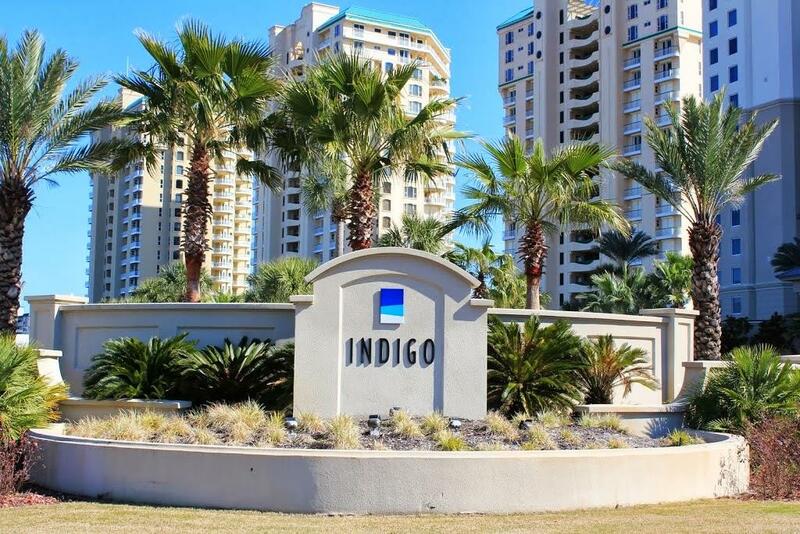 Come experience the ultimate vacation destination and enjoy the pristine natural beauty of the Florida Gulf Coast when you stay in our fabulous 2 bedroom, 2 bath unit with bonus den at the Indigo Resort! 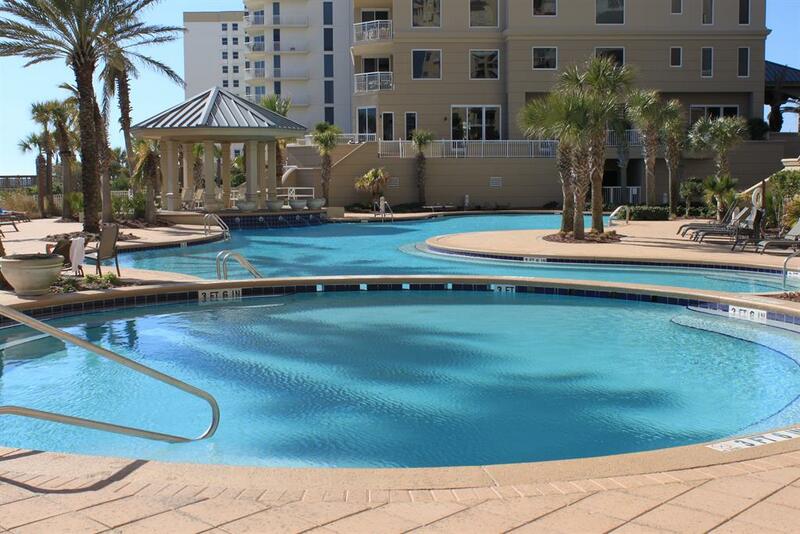 Located in picturesque Perdido Key, this seven-acre complex offers opulence, style and endless amenities inside and out. The sugar white sands and emerald waters create the ideal backdrop for the vacation of your dreams, and with an average annual temperature of 72 degrees it’s always beach weather no matter the season! This 9th floor unit will exceed your expectations, and with 1600 square feet of living space you’ll enjoy a spacious retreat with luxurious extras throughout. With floor-to-ceiling sliding glass doors in the living room the unit is teeming with natural light, reminding you that you are certainly on a beach vacation!You’ll especially love the private balcony overlooking the sparkling sands and glistening waters of the Gulf, with panoramic vistas you can enjoy from the comfort of your unit! The covered lanai affords plenty of outdoor seating, where you can sip your favorite cocktail or dine al fresco while enjoying the serenity of the waves and coastal breeze. 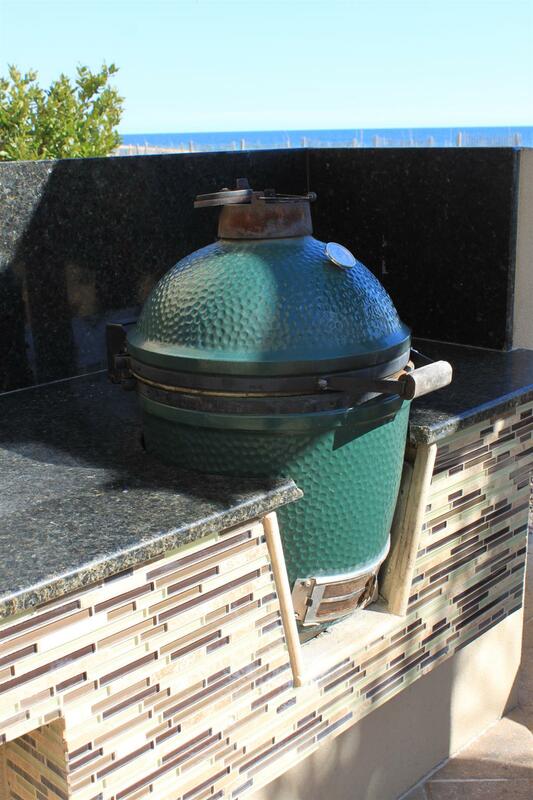 The gourmet kitchen makes preparing your favorite meal not only effortless, but enjoyable! Granite countertops and wood cabinetry complement the GE Profile appliances which include a side by side fridge, wall oven and microwave, smooth cook top, and dishwasher. The spacious dining area offers a beautiful dining table that seats 4. The gulf front master bedroom is certainly a retreat, offering luxury touches and furnishings. There is an enormous sliding glass door with access to the beachfront balcony offering incredible gulf views, and a large picture window so you can wake up and savor the picturesque vistas from your luxurious king bed! The attached master bath features a walk-in glass and travertine shower and travertine floors, and twin vanities with granite countertops. The second bedroom offers a plush queen bed, and wonderful views of Old River and the Intracoastal Waterway from the large picture window and sliding glass doors to the north balcony! The bonus den affords additional sleeping and/or lounge space, perfect for the kids who want to watch movies while the adults relax and unwind! Indigo features the most luxurious amenities offered at any resort on the Gulf Coast, including secure gated entry, a 6,000 gallon zero entry resort-style pool and gazebo, hot tub, an additional seasonally heated smaller pool, outdoor grills, lighted tennis courts, steam rooms, saunas, two state of the art fitness rooms, a private 12 person theater, garage parking and interior elevators that open to your private foyer! This unit also offers a full washer and dryer and a conveniently located trash chute right outside your door. Ranked by Condé Nast Traveler as one of the top 5 swimming beaches Perdido Key offers an abundance of recreation and activities, including fantastic restaurants, championship golf courses, water sports and lovely shops and boutiques. The Pensacola Naval Air Station is a short 15 minute drive from Perdido Key, and is a great place to take the family! A 10 minute drive west will take you to Orange Beach, which hosts tons of restaurants and shopping, a Rave movie theater and a 10,000 seat outdoor amphitheater where some of the biggest names in music perform year round. The Indigo Resort provides an exclusive vacation experience for the discerning traveler. 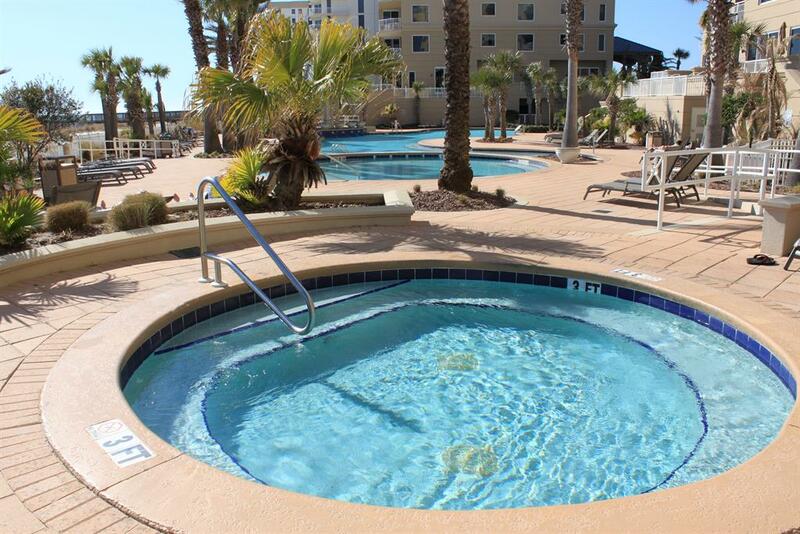 Book today and finally have the Gulf Coast getaway of your dreams! 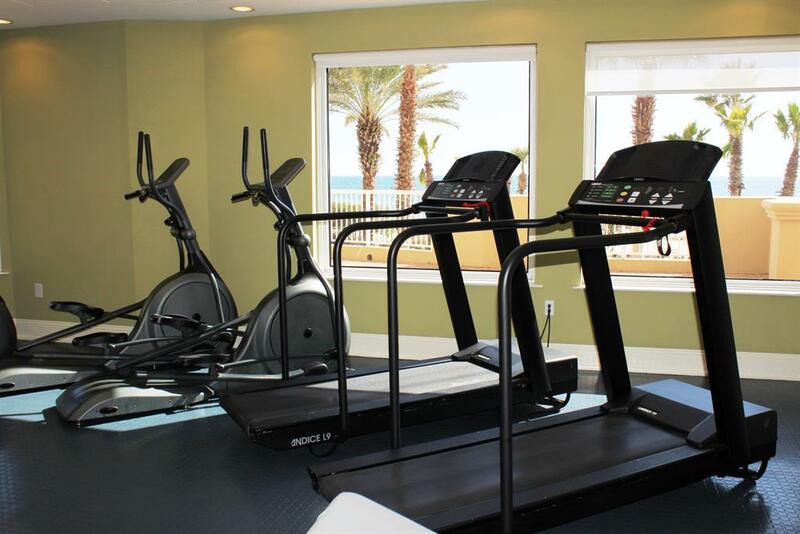 - Choose - Banana Bay 6083 Battery 20 Baydreams Townhome Beach & Yacht Club A301 Beach Colony East 10A Beach Colony East 11C Beach Colony East 13C Beach Colony East 4D Beach Colony East 5A Beach Colony East 6A Beach Colony East 7A Beach Colony East 7C Beach Colony East 7D Beach Colony East 8A Beach Colony East 8C Beach Colony East 9B Beach Colony East 9C Beach Colony East 9D Beach Colony East Penthouse 15B Beach Colony East Penthouse 15C Beach Colony East Penthouse 16A Beach Colony East Penthouse 16B Beach Colony Tower 12B Beach Colony Tower 14A Beach Colony Tower 15D Beach Colony Tower 5B Beach Colony Tower 7B Beach Colony Tower 9A Beach Colony Tower Penthouse 18C Beach Colony West 11B Beach Colony West 12B Beach Colony West 1B Beach Colony West 2D Beach Colony West 8A Beach Colony West Penthouse 18C Bella Luna 708 Bluewater 105 Bluewater 1101 Boardwalk F3 Broadmoor 803 Broadmoor 804 Capri 102 Capri 202 + FREE Seasonal Beach Service Capri 302 Capri 401 Capri 601 Caribe B809 Caribe C1010 Caribe C1212 Caribe C910 Caribe D1110 Caribe D301 Caribe D411 Caribe D412 Caribe Penthouse D107 Colonnades 402 Cottage at Romar C5 East of Eden Beach House (Beachfront) Eden East 601 Eden West 408 Enclave 604 Florencia 503 Indigo East 1004 Indigo East 1205 Indigo East 1206 Indigo East 1504 Indigo East 1602 Indigo East 1604 Indigo East 1702 Indigo East 1704 Indigo East 1801 Indigo East 1906 Indigo East 2001 Indigo East 2004 Indigo East 2102 Penthouse w/Cabana Indigo East 2103 Penthouse w/Cabana Indigo East 2104 Penthouse Indigo East 302 Indigo East 406 Indigo East 502 Indigo East 604 Indigo East 804 Indigo East 901 + Den w/Cabana ! Indigo East 904 Indigo East 906 Indigo West 1001 Indigo West 1101 Indigo West 1104 Indigo West 1204 Indigo West 1403 Indigo West 1601 Indigo West 1602 Indigo West 1701 Indigo West 1802 Indigo West 1904 Indigo West 2103 Penthouse Indigo West 301 Indigo West 303 Indigo West 304 Indigo West 404 Indigo West 801 with Private Poolside Cabana Indigo West 804 Indigo West 903 Jubilee Landing 111 Jubilee Landing 206 La Playa 1001 La Playa 1103 La Playa 1202 La Playa 1203 La Playa 202 La Playa 301 La Playa 303 La Playa 402 La Playa 502 La Playa 702 La Playa 703 La Playa 901 La Playa 902 Lei Lani 407T Lost Key A305- Unlimited Golf! Lost Key B702 Lost Key B902 Lost Key C1003-Unlimited Golf! Lost Key C605 Lost Key Villas 6552 Mediterranean West 301 Mediterranean West 702 Mediterranean West 802 Molokai Villas Riverside 5B Molokai Villas Riverside 7A Moorings 101 Needle Rush Point B13 Needle Rush Point F12 Needle Rush Point G12 Needle Rush Point G31 Palacio 1603 Free Seasonal Beach Service! Palacio 1803- Free Seasonal Beach Service! Palacio 201 Free Seasonal Beach Service! Palacio 206 Free Seasonal Beach Service!! Palacio 302 Palacio 304 Free Seasonal Beach Service!! Palacio Penthouse 1902 - FREE Seasonal Beach Service Included! Palm Beach D45 Parks Edge 3 Little Birds Parks Edge Turquoise Tailwinds Perdido Sun 1002 Perdido Sun 1010 Perdido Sun 1012 Perdido Sun 114 Perdido Sun 200 Perdido Sun 210 Perdido Sun 214 Perdido Sun 314 Perdido Sun 406 Perdido Sun 414 Perdido Sun 506 Perdido Sun 508 Perdido Sun 510 Perdido Sun 512 Perdido Sun 608 Perdido Sun 612 Perdido Sun 616 Perdido Sun 712 Perdido Sun 808 Perdido Sun 904 Perdido Sun 916 Perdido Towers East 104 Perdido Towers East 403 Perdido Towers East 404 Perdido Towers East 601 Perdido Towers East 801 Perdido Towers West 906 Perdido Towers West 907 Perdido Towers West 908 Phoenix 10 1505 Phoenix 10 313 Phoenix 10 603 Phoenix 2 2031 Phoenix 4 4001 Phoenix 5 1105 Phoenix 6 1503 Phoenix 8 1506 Phoenix 8 305 Phoenix 9 801 Phoenix on the Bay 1228 Phoenix West 2005 Phoenix West 2602 Phoenix West 2706 Phoenix West II 1406 Phoenix West II 1602 Phoenix West II 1611 Phoenix West II 2006 Phoenix West II 2206 Phoenix West II 2208 Portofino Tower 5 Unit 1308 Regency Isle 710 Regency Isle Penthouse 1106 Free Seasonal Beach Service! Reunion Beach House at Laguna Key (Waterfront) Riviera Dunes 501 Romar House 1006B Romar House 906B Sailmaker's Place 203 San Carlos 1503 Sandy Key 112 Sandy Key 335 Sandy Key 513 Sandy Key 523 Sandy Key 631 Sandy Key 816 Sandy Key 822 Sandy Key 825 Seachase 103C Seachase 105W Seachase 1503W Seachase 305C Seachase 404E Seachase 404W Seachase 405W Seachase 704C Seachase 905C SeaSpray East 1023- Gulf Front SeaSpray East 223- Gulf Front SeaSpray East 323- Gulf Front SeaSpray East 922- Gulf Front SeaSpray East 924- Gulf Front SeaSpray Riverside 214 SeaSpray Riverside 713 SeaSpray Riverside 815 SeaSpray West 105- Gulf Front SeaSpray West 304- Gulf Front SeaSpray West 503- Gulf Front SeaSpray West 505- Gulf Front SeaSpray West 506- Gulf Front SeaSpray West 603- Gulf Front Shipwatch A102 Shipwatch A302 Shipwatch A501 Shipwatch A504 Shipwatch A804 Shipwatch B102 Shipwatch B301 Shipwatch B302 Shipwatch C301 Shipwatch D104 Shipwatch D201 Shipwatch D301 Shipwatch D604 Shipwatch D701 Shipwatch Riverside E204 Shoalwater 1102 Shoalwater 1202 Shoalwater 1204 Spanish Key 305 Spanish Key 404 Spanish Key 506 Spanish Key 603 Spanish Key 609 Spanish Key 702 Spanish Key 705 Summer House 105B Summer House 1501B Summer House 1502B Summer House 203A Summer House 204A Summerchase 1101 +Free Seasonal Chair Service Summerchase 1107 Summerchase 1201 Free Seasonal Beach Service!! Summerchase 204 Summerchase 305 Summerchase 306 Summerchase 508 Summerchase 905 Sunchase 308 Sunrise Village 117 Tidewater 1205 - Penthouse Tidewater 203 Tidewater 609 Tidewater 706 Turquoise C1009 Turquoise C1109 Turquoise C1407 Turquoise C1603 Turquoise C2106 Turquoise C2706 Turquoise C406 Turquoise C601 Turquoise C702 Turquoise C704 Turquoise D1703 Turquoise D706 Villagio C241 Villagio C243 Vista Del Mar 201 Vista Del Mar 206 Vista Del Mar 303 Vista Del Mar 304 Vista Del Mar 305 Vista Del Mar 308 Vista Del Mar 401 Vista Del Mar 608 Vista Del Mar 701 Vista Del Mar 702 Vista Del Mar 707 Vista Del Mar 806 West Of Eden - East Side (Beachfront) West Of Eden - West Side (Beachfront) Wharf Resort 617 Wharf Resort 708 Wharf Resort 916 White Caps 603 Windemere 1003 Windemere 1102 Windemere 1202 Windemere 1501 Windemere 301 Windemere 702 Windemere 708 Windemere 807 Windemere 904 Pool Side Cabana Included! © 2019 Luxury Coastal Vacations All rights reserved. The contents of this field will not be publicly displayed.